There are a number of scenes that have been famously edited or altogether cut from the Friday The 13th films, but what about the scenes that made it into script drafts, but were never filmed? Today we take a look at one such scene from 2002's Jason X that could have been a really fun addition to the film and the franchise. 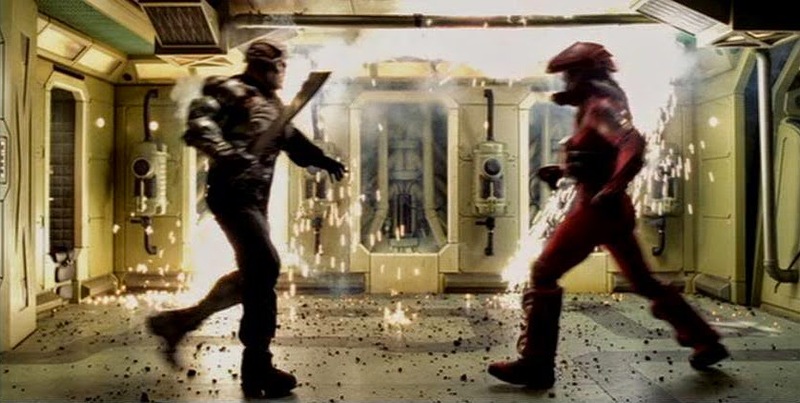 One of many scenes that appeared in writer Todd Farmer’s early script for Jason X, but not in the film, was a sequence in which an explosion within the ship Grendel created a temporary loss of gravity. With both the characters and cargo floating around the ship, Kay-Em uses magnetic power to grab hold of an interior wall in an attempt to rescue the teenage scientists, all the while trying to escape from Jason. This scene would involve a number of characters such as Rowan, Tsunaron and DeLongpre (a character cut from the film two weeks before filming), forming a make-shift human chain in an attempt to stop themselves from drifting towards Jason. Presumably, due to budget constraints the scene was never allowed to be filmed, but it would have been another unique scene in the franchise and one that most surely would have been talked about for years to come.